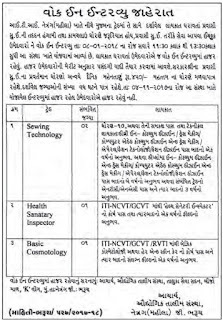 ITI Netrang (Female) has published Advertisement for below mentioned Posts 2017-18. Other details like age limit, educational qualification, selection process, application fee and how to apply are given below. 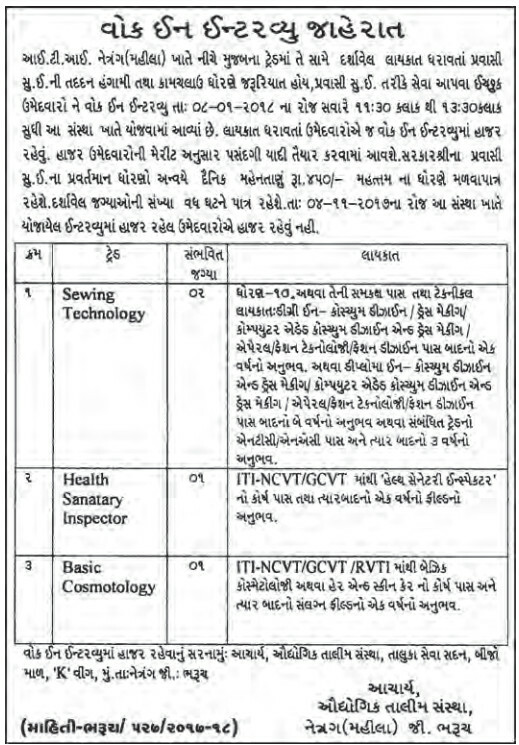 Venue: Principal, Industrial Training Institute, Taluka Seva Sadan, Second Floor, "K" Wing, At & Po: Netrang, Bhuj.